Hulling strawberries and other soft fruits offers a way to present the whole fruit in an attractive manner and adds to a dish’s presentation. With a small, sharp paring knife hold a strawberry in your left hand. With the paring knife in your right (if right-handed or vice versa if left-handed), insert the tip of the knife around the base of the green stem. Slowly and carefully, at an angle, circle the tip of the knife around the stem until you are back at the beginning where you initially inserted the knife. It helps to slowly turn the strawberry when doing this. 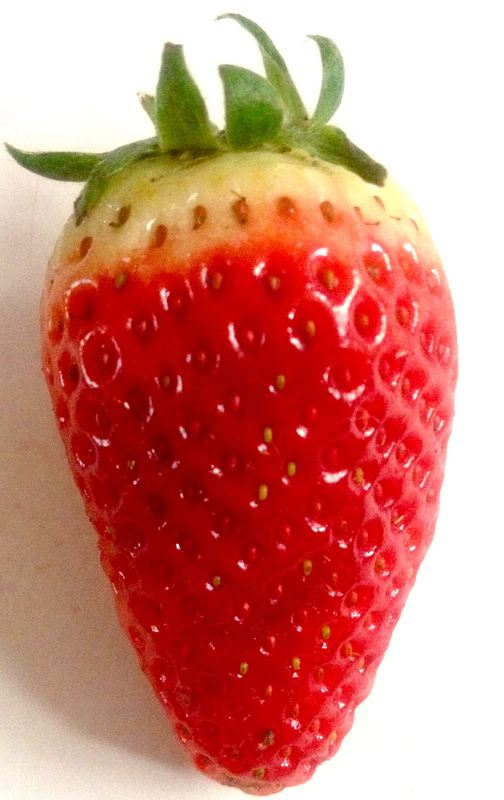 The stem should now come away from the strawberry. Wash and dry the strawberries you are intending to use. Dawn: The stem is called the calyx and hulling basically means its removal before cooking or serving. For more cooking and baking techniques, follow this blog – www.forfoodlovers.wordpress.com and click “Follow” over on Twitter @Love_Food_UK for regular food chat as well as finding the cooking sensation over on Facebook (please pop across and ‘Like’ Love Food). Oh, not forgetting the fab MumsNet Bloggers Network and Foodies100, too! Posted on September 1, 2014 by Love Food UK	• This entry was posted in How to Make and tagged baking techniques, cooking techniques, how to hull strawberries, recipes presentation. Bookmark the permalink.